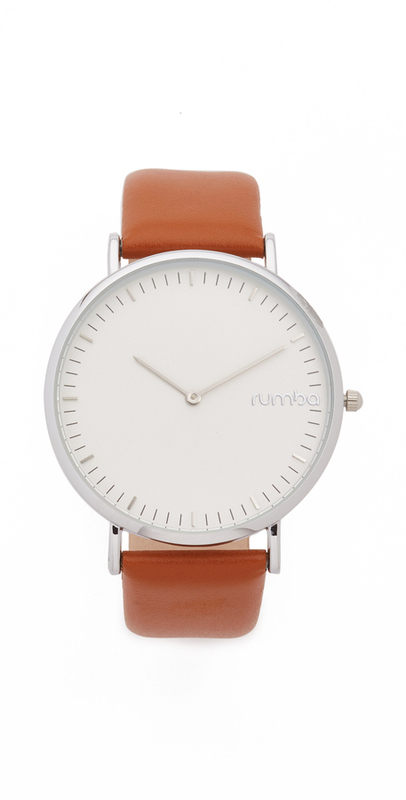 If you're obsessed with functionality dressing when it comes to your personal style, you'll love this cute combo of a camel coat and a RumbaTime tan leather watch. You could perhaps get a little creative in the footwear department and lift up your outfit with black suede knee high boots. 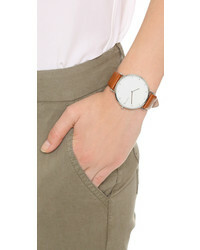 Wear a beige long sleeve t-shirt with a RumbaTime Soho Leather Hazelnut Watch from shopbop.com, if you feel like relaxed dressing without looking like a hobo. Bring instant glamour to your getup with charcoal suede ankle boots. We're all outfiting for comfort when it comes to dressing up, and this combination of a navy long cardigan and a RumbaTime tan leather watch is a great illustration of that. Amp up the cool of your outfit by wearing white canvas low top sneakers. If you're all about being comfortable when it comes to fashion, this combination of a blue dress shirt and a RumbaTime Soho Leather Hazelnut Watch is totally for you. 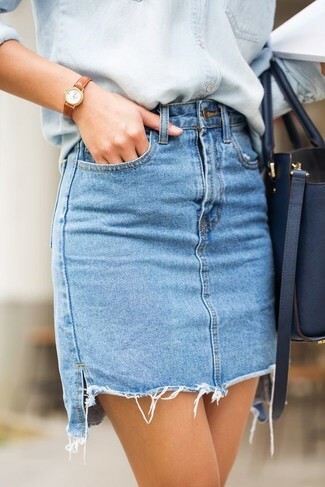 Add blue suede wedge sandals to your look for an instant style upgrade. If you're a fan of relaxed dressing when it comes to fashion, you'll love this super cute pairing of a white double breasted blazer and a RumbaTime Soho Leather Hazelnut Watch. Go for a pair of tan leather pumps to va-va-voom your outfit. 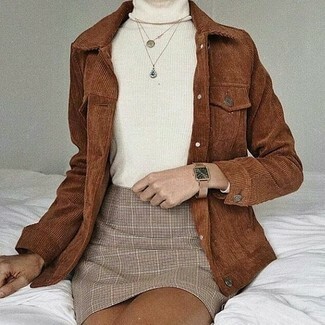 Choose a brown corduroy shirt jacket and a RumbaTime Soho Leather Hazelnut Watch from shopbop.com if you're on the hunt for an outfit idea for when you want to look casually cool. 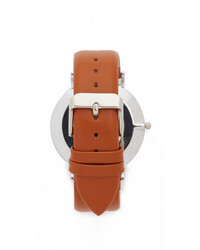 If you're a fan of functionality dressing when it comes to fashion, you'll love this super cute combination of a light blue denim shirt and a RumbaTime Soho Leather Hazelnut Watch from shopbop.com. Consider teaming a navy leather bomber jacket with a RumbaTime tan leather watch, if you want to dress for comfort without looking like a slob. Kick up the cool of your ensemble by finishing off with white plimsolls. If you're a fan of practicality dressing when it comes to your personal style, you'll love this cute pairing of a grey cardigan and a RumbaTime Soho Leather Hazelnut Watch.